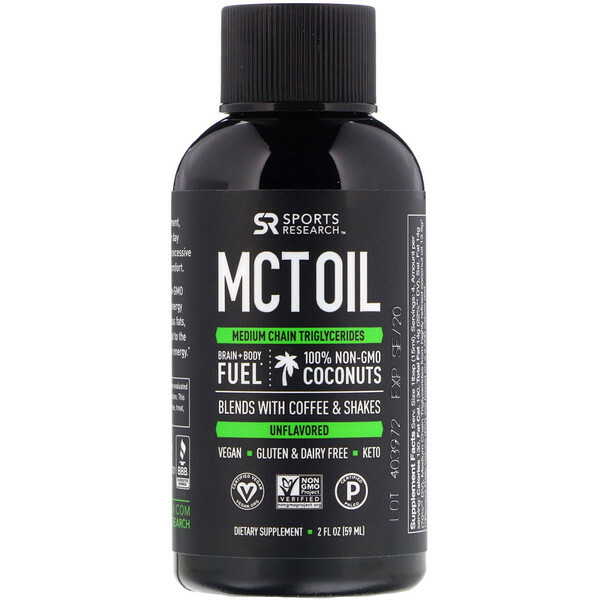 Sports Research MCT Oil is a Non-GMO Verified alternative to traditional oils, energy and sports drinks. 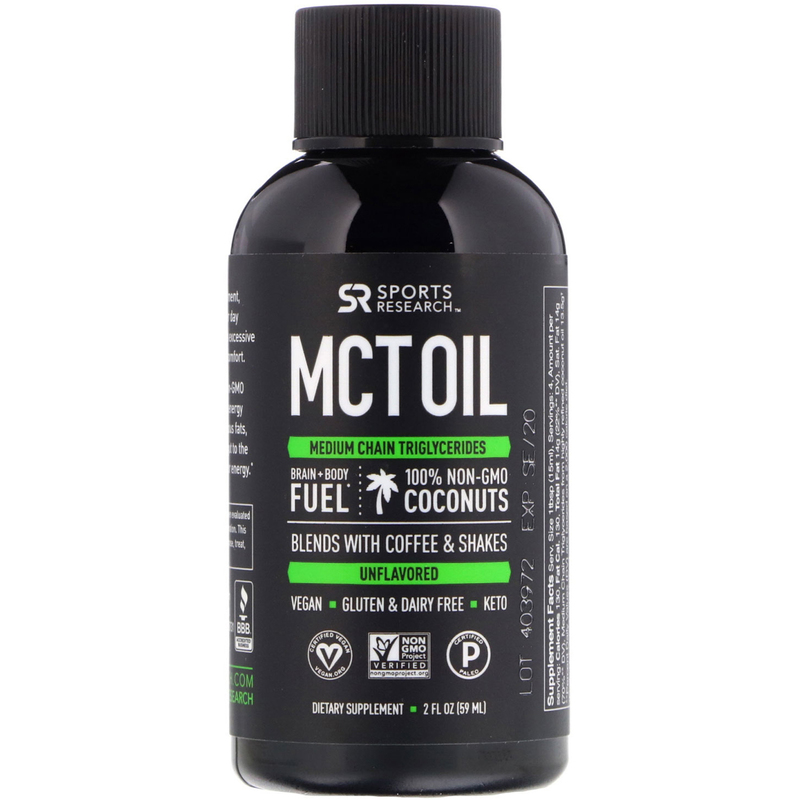 Packed with nutritious fats, MCTs are absorbed directly from the gut to the liver, where they are burned quickly for energy. As a Dietary Supplement, begin by using 1 tablespoon (15 ml) per day until personal tolerance is reached, as excessive consumption may cause digestive discomfort. Not recommended for use in frying due to relatively low smoke point. Keep out of reach of children and pets. Do not use if safety seal is damaged or missing.